TODAY, OCTOBER 19, the Belarusian children foundation CHANCE transferred 10,053.43 Euros to the Belgian hospital, thus fully repaying the hospital for the second surgery. We wholeheartedly thank you all for helping! 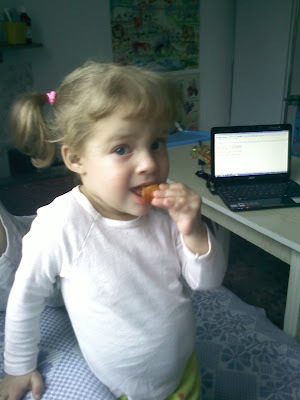 Eva was born on the 4th of May, 2009 in Minsk, the capital of the Republic of Belarus (Eastern Europe). When the girl was only one week old, her parents Veronica Razvenkova and Yury Razvenkov realized the girl was sick. Eva had severe navel and nasal bleeding and a lump on her head. The baby was hospitalized, but the doctors could neither diagnose nor help her. Within the next few months Eva developed multiple symptoms - from yellow skin and sclera to malfunctioning gallbladder, giant cell hepatitis with fibrosis (1st degree) and many others. 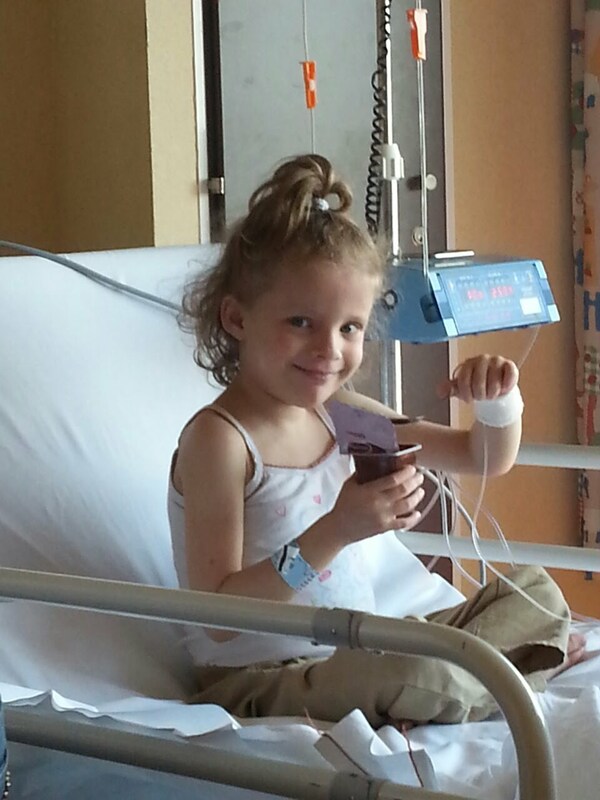 Eva underwent all possible tests and several diagnostic surgeries. Ultimately, she was diagnosed with cirrhosis and was advised for a liver transplant. Her mother Veronica was happy to become her donor. Before the surgery, Eva was examined by the cardiologists, who revealed numerous defects in her heart. (READ EVA’S FULL MEDICAL HISTORY HERE). Belarusian doctors said there is nothing they could do to save the baby and refused to perform a surgery. It was advised to turn the baby to hospice care. Eva’s parents went to Moscow to ask for help there. But the Russian doctors said they were not qualified enough for the complex surgeries Eva needed (they relied on the tests done in Belarus). What is worse, they added, that Eva had only six months left. Veronica and Yury did not give up. They sent dozens of emails and letters to all major European medical centers, and finally got some positive result! Professor R. Reding from a Belgian hospital Cliniques Universitaires Saint-Luc agreed to consult and operate Eva. Eva's liver transplant surgery happened on December 3, 2010. The long-awaited surgery restored hope to her family, friends and many many people who took part in saving Eva's life. 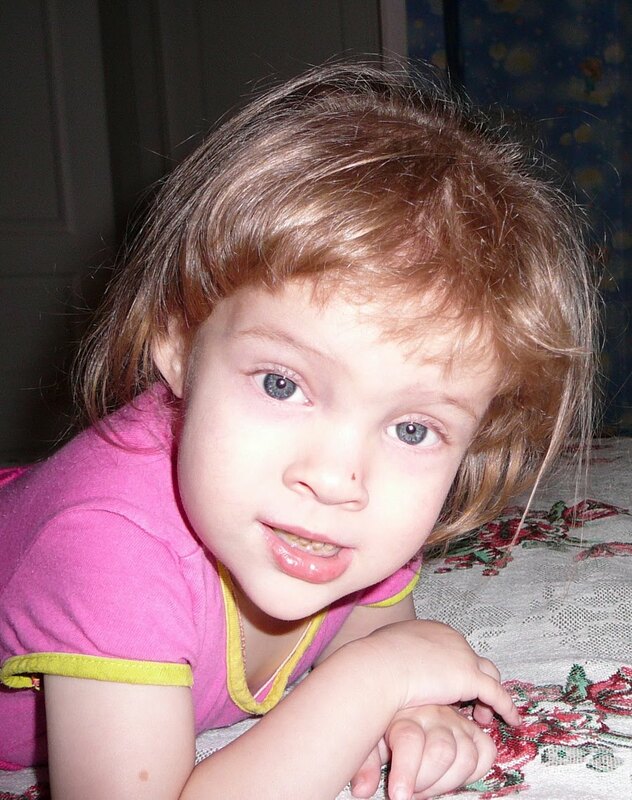 After the surgery, Eva's mom Veronica wrote: "It seems so strange and frightening to be hearing good news about Eva... 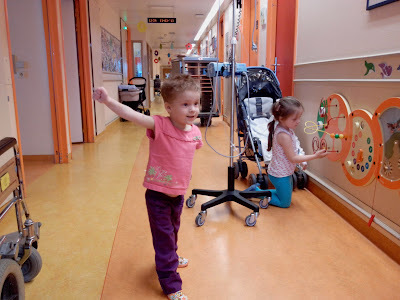 This is the first time in my life that I am hearing positive words about my little girl…"
During the past six months Eva and Veronica have stayed at Saint-Luc for the rehabilitation. We all followed the good news from Belgium: Eva was quickly recovering, gaining weight, she learnt to walk and talk, and recently turned two years old. Veronica had hoped to return home to Belarus by the end of June, but just the other day the doctors told her that the child needs another surgery. 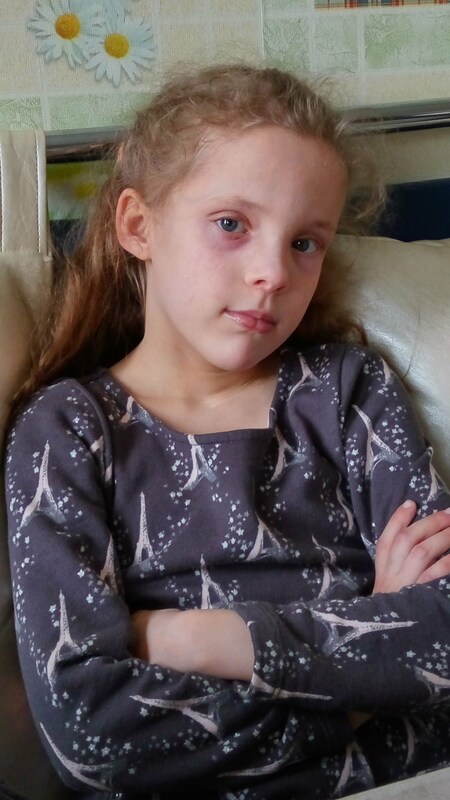 In the last few months Eva’s bio-chemical blood tests made doctors suspect some potential problems due to narrowing of blood vessels, and a recent series of tests confirmed narrowing of the bile duct (stenosis) - the condition that requires urgent medical intervention. Prof. Reding has scheduled the new surgery for the end of June 2011, leaving very little time for fundraising. The surgery is estimated to cost around 14 thousand Euros, and Eva’s parents need to make an advance payment before the procedure. We know that you all have already done so much for Eva, but we have no other way than to ask for your help again. Timing is very important now. Please, help us save little Eva! She desperately needs the treatment. We are helpless on our own, but together we can make miracle happen. Save baby Eva! New photographs We have some new photos of Eva and her sister and brother. Hope you like them.